The volcanoes and thermal wonders of New Zealand attract visitors from all over the world. 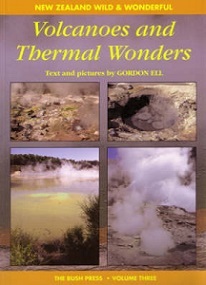 This book illustrates the thermal regions of New Zealand, from Tongariro and Taupo, to Rotorua and the Bay of Plenty. It also explains in a straightforward way how volcanoes, geysers, mud pools and hot lakes work.